A carer .299 hitter, the tremendously popular Carl Furillo swatted 192 home runs in his career that he spent entirely with the Dodgers organization. 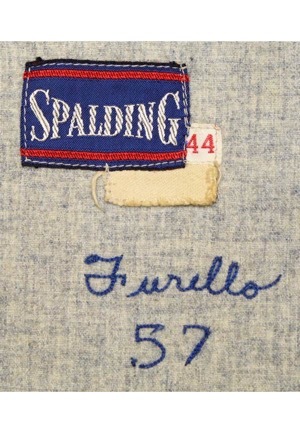 On the front left tail of the flannel jersey is the Spalding manufacturer’s tag. Attached is a tag reading the size “44” and a blank strip tag that is starting to seperate. 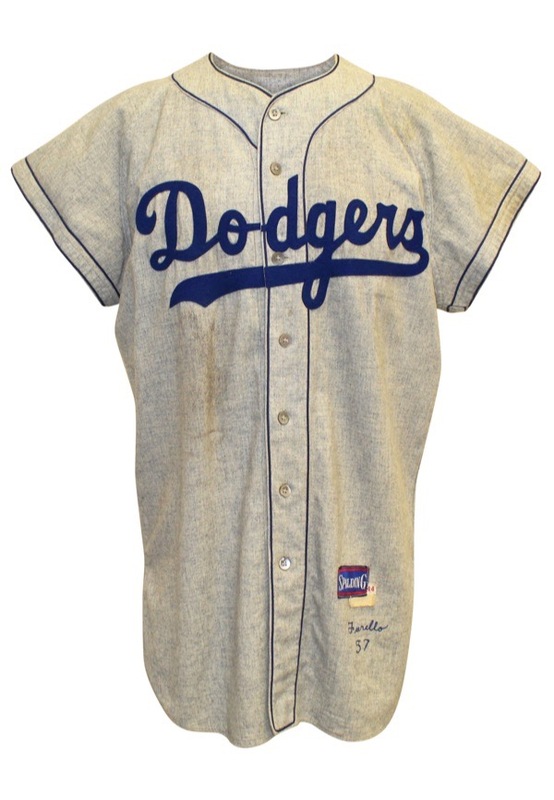 Adjacent below reads the player name “Furillo” and the year “57” embroidered in blue chain-stitching sewn directly into the jersey. 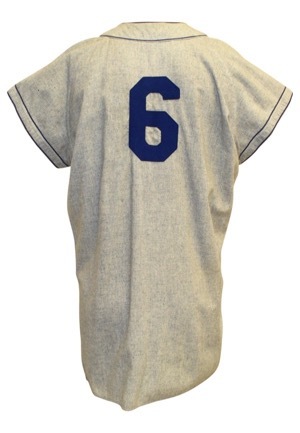 Across the chest reads “Dodgers” in script style writing and across the back is the player number “6”. All numbering and lettering is done in blue felt. There is baseball related staining throughout the front of the jersey. This jersey is properly tagged, was presented to us as game-used and in our opinion shows outstanding use. There is some slight baseball related staining on the front which only adds to the eye appeal. This is only the second Furrillo game-used jersey we have seen in 30 years. Accompanied by a LOA from Photo-Match.com grading the jersey a 9 and a LOP stating that the jersey was sourced directly from Dodgers personnel in 1957.